The stylish Control 52 satellite loudspeaker produces superb high fidelity sound via a lowdistortion 60 mm (2.5 in) driver, which features a secondary bucking magnet for high efficiency, rubber half roll surround for enhanced bass performance, 19 mm (0.75 in) copper clad aluminum wire voice coil on a vented Nomex® former for high fidelity and reliability, and a copper-capped pole piece for more consistent impedance and extended high frequency response. The wall bracket allows each speaker to be angled up to 45° off-axis. Transducer Driver : 60 mm (2.5 in) with polypropylene cone, butyl rubber surround, 19 mm (0.75 in) copper-clad coil, vented Nomex® former, secondary bucking magnet, and copper sleeved pole piece for high frequency extension. Material : High impact polystyrene, painted zinc-plated metal grille. Included Accessories : Wall bracket (both speaker and wall parts), 2-pin locking connector. Material : Top, bottom, front & bottom: Structural plywood. Port & terminal panels: MDF. Grille: Painted zinc-plated metal. 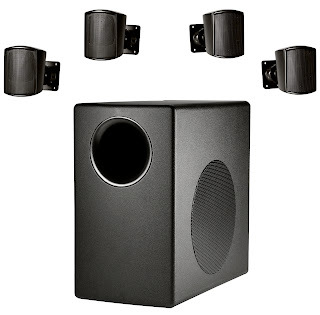 Included Accessories : Wall bracket (both speaker and wall parts) with 4 pcs M6 screws to attach to speaker, terminal cover, 6 pcs 2-pin locking connectors, M6 screw for safety lanyard attachment.